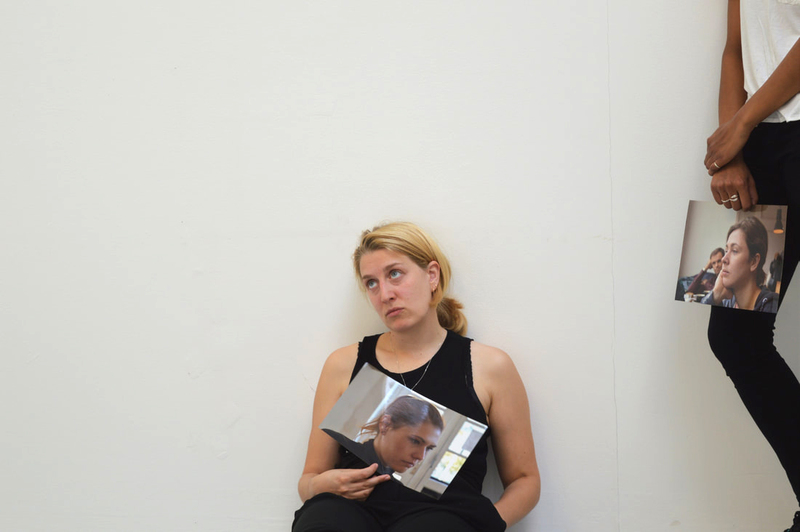 Emily Perry’s practice is characteristically performative, focusing on gender, sexuality, feminism and female representation. 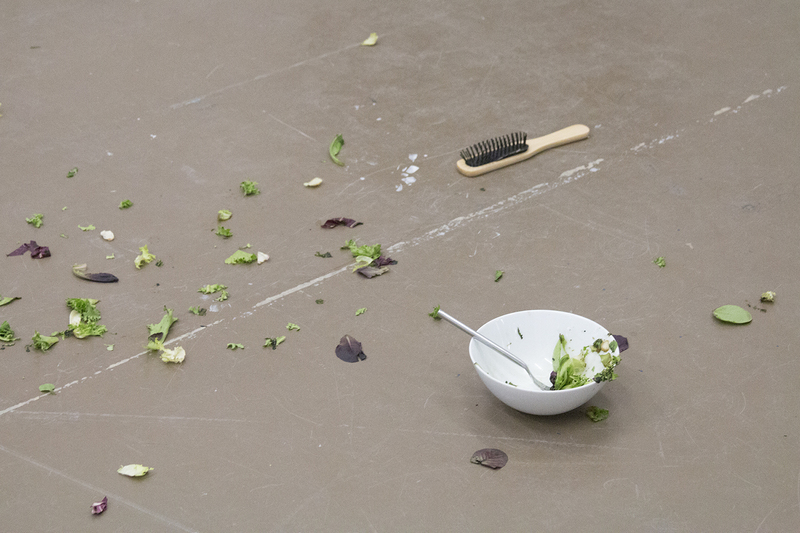 Perry recently presented Woman with Salad (2016-ongoing) at A Performance Affair, Brussels. 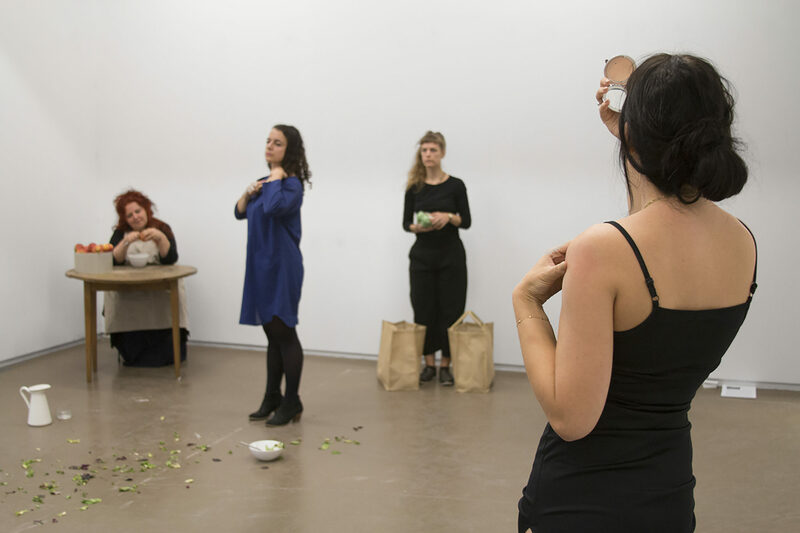 Woman with Salad is a work for a group of female performers who each concurrently enact a single gesture, repeated continuously for an hour. 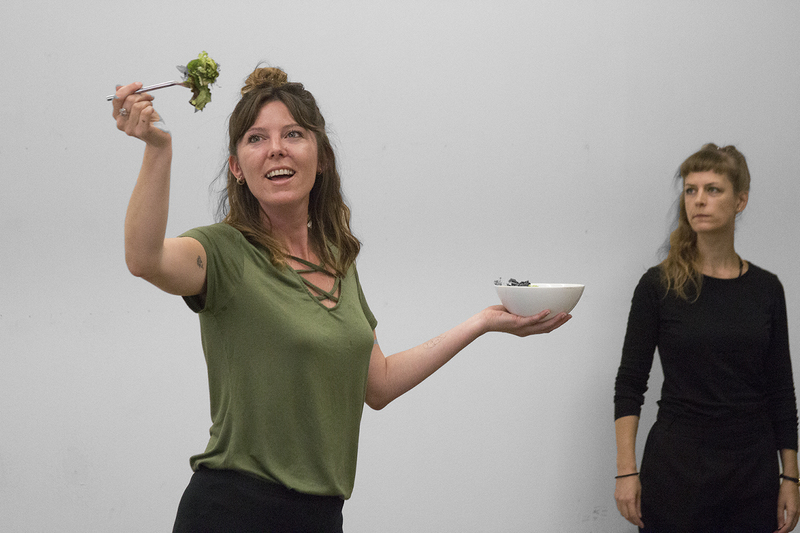 These gestures derive from images and animated GIFs found in commercial stock footage libraries that depict women engaged in actions such as laughing while holding food, looking into a mirror, brushing their hair or drinking a glass of wine. These commercially produced images, designed to be purchased and dispersed throughout the wider broadcast media, depict stereotypically female actions, while being aimed at the current advertising industry also echo the manual and domestic tasks that women perform in historical painting. 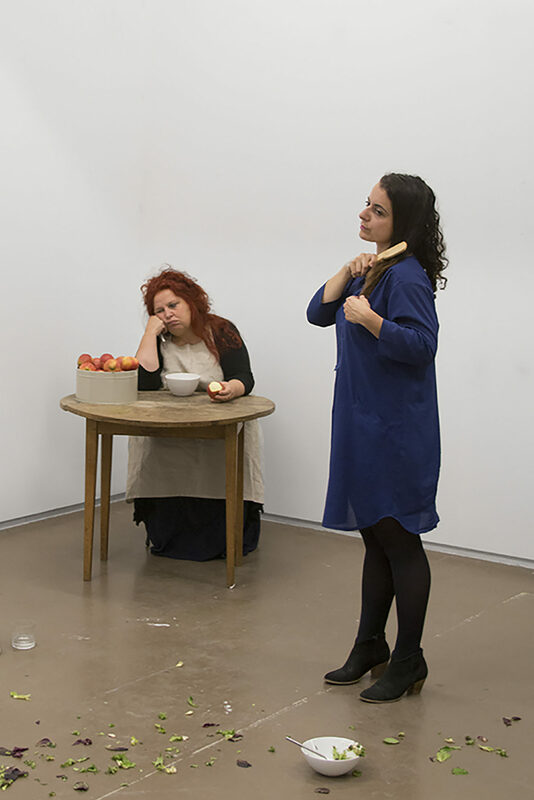 Bath Sesh (2018) is a work that presents pairs of women in dialogue, and is accompanied by a number of audio recordings of conversation between mothers and daughters. About this work Perry simply states “Of course their conversations always pass the Bechdel Test”. 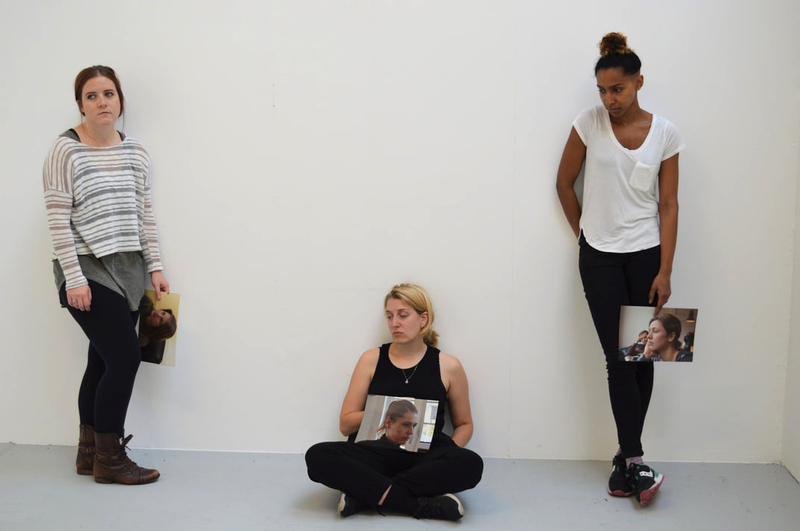 In Women Looking Bored Holding Photos of Women Looking Bored, (2017) several women stand in a gallery space displaying photos of other women. As the hours pass by, the performers shuffle, drop their arms, lean on the wall, sit down and close their eyes, they remain silent.